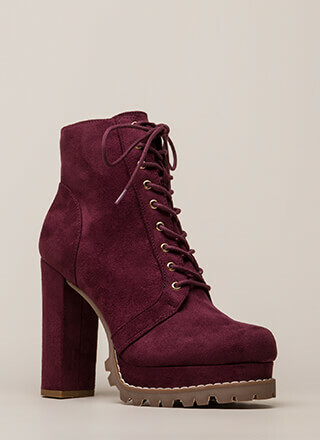 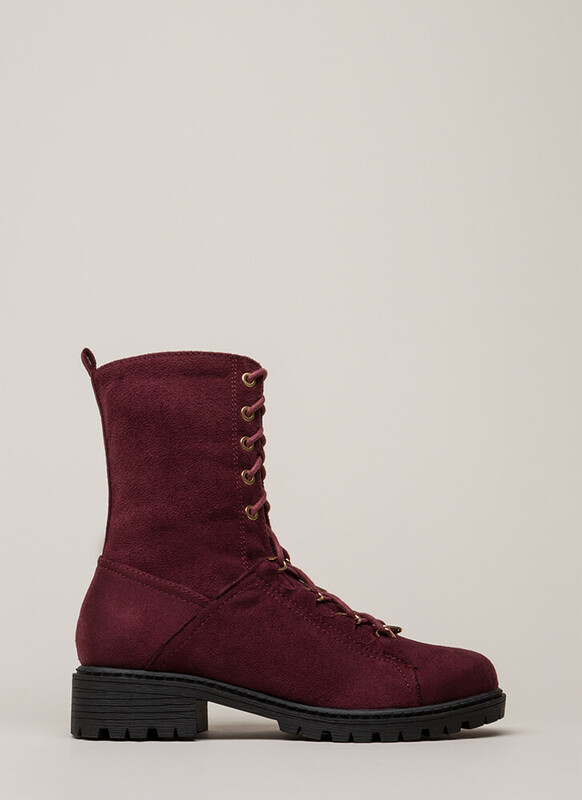 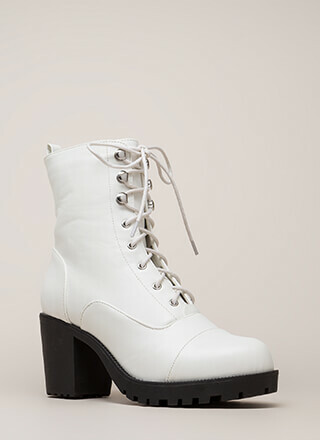 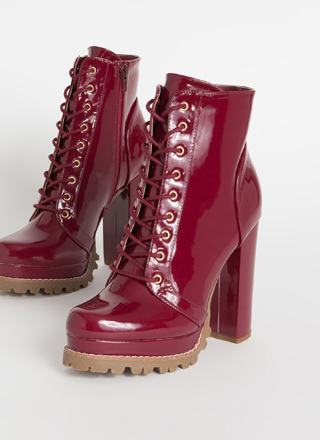 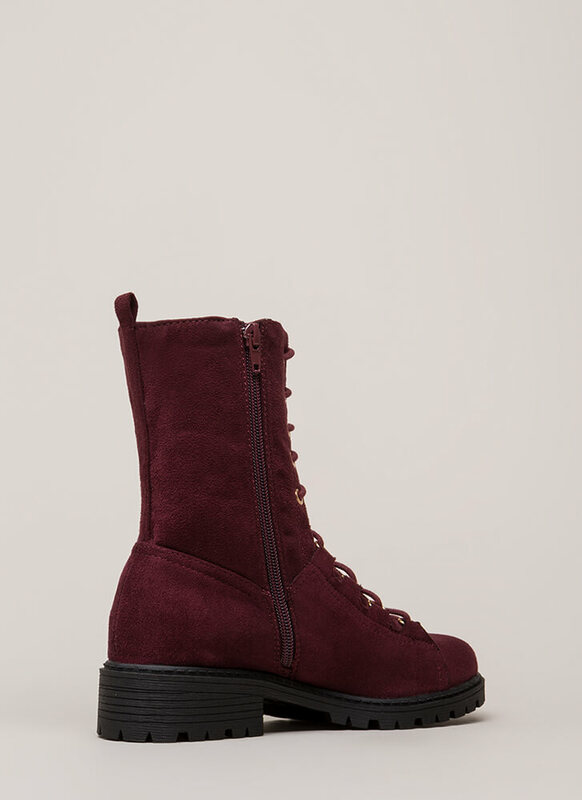 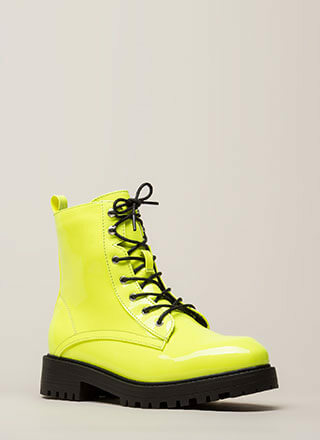 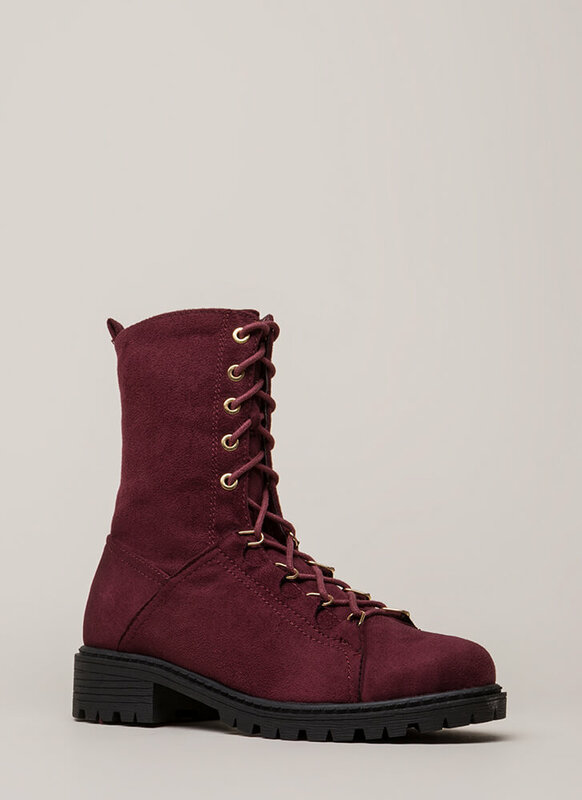 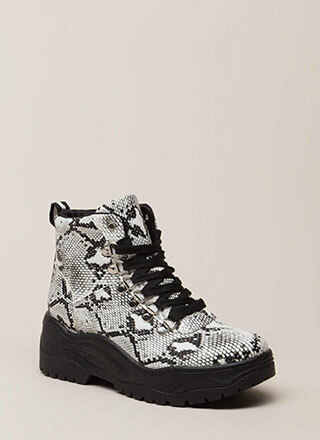 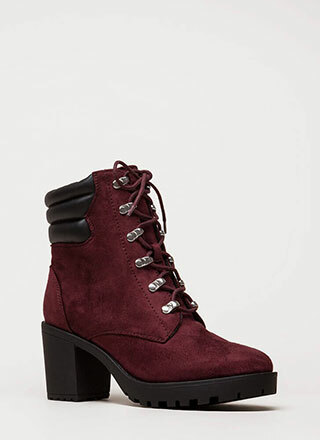 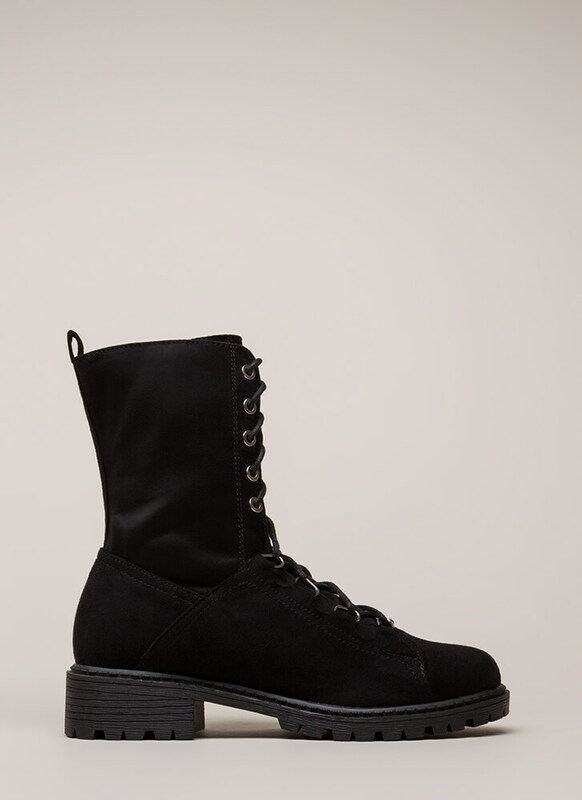 We love combat boots so much we'd be willing to fight for them! 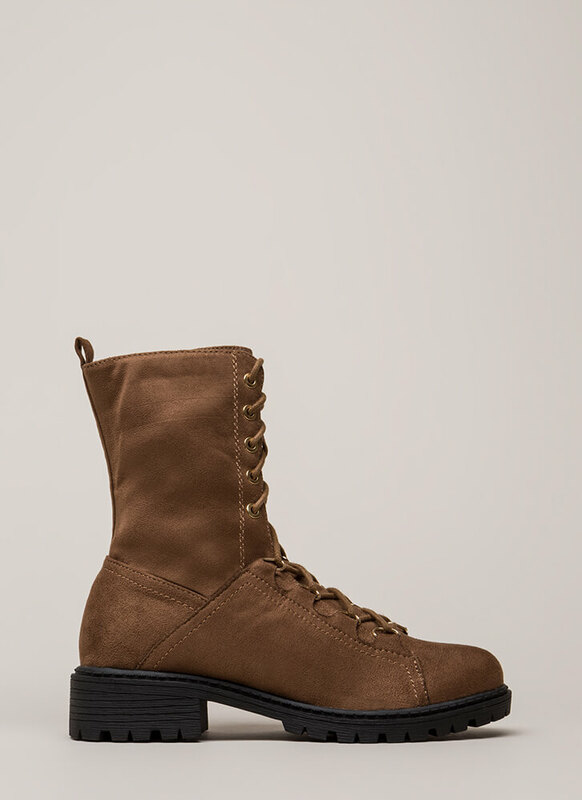 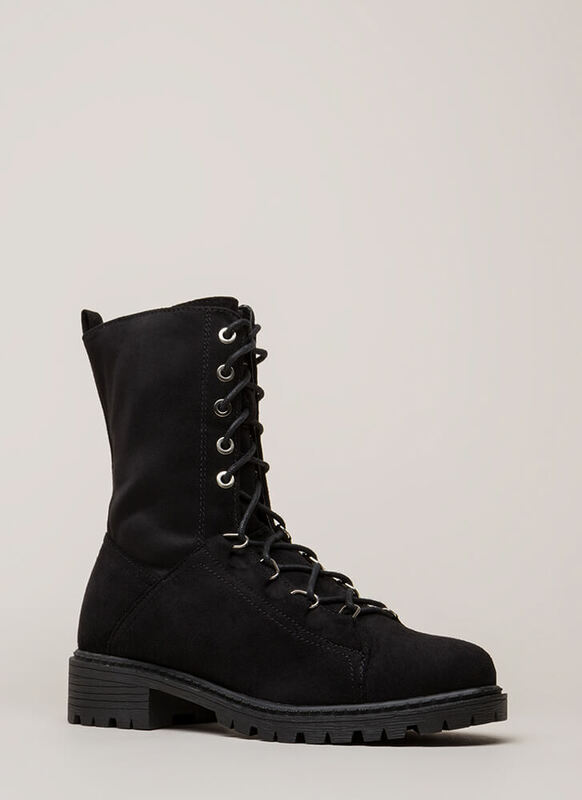 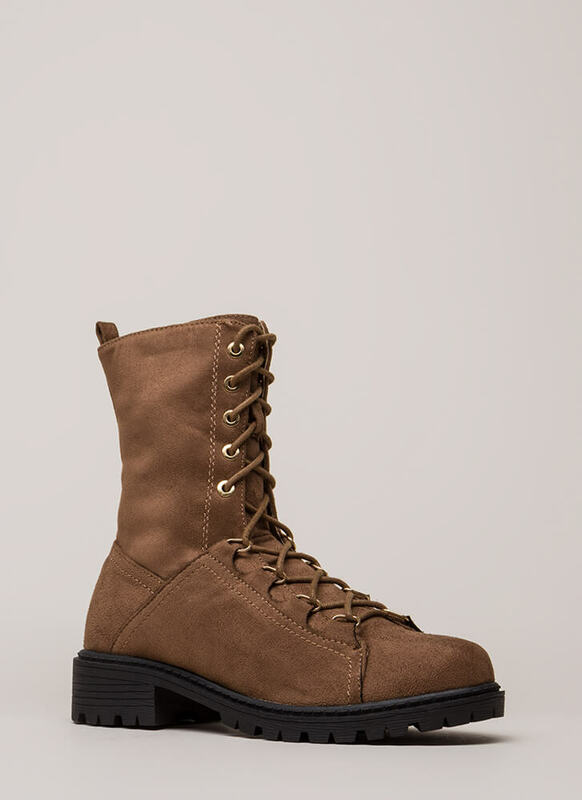 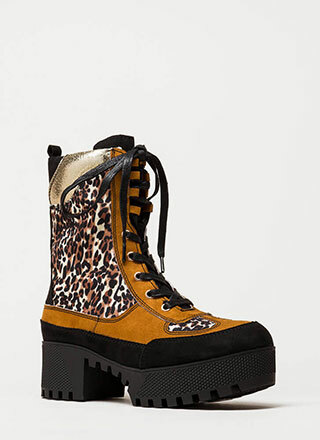 Combat boots feature a rugged lug sole with a block heel and a lace-up front with egg-shaped rings and punched grommets. Shoes are finished with a rear pull tab and a full-length side zipper for easy on and off.